● The homepage occasionally features a variety of special promos, which have previously included seasonal sales, free coupon codes and tiered discounts for a minimum spend. ● Browse the categories under the Sale navigation tab for discounts of up to 50% off on selected items. ● The company usually offers free US shipping for a minimum spend. In the past, these have included orders worth at least $125. This offer seems ongoing, but may be discontinued or modified at any time. ● Orders that do not qualify for free shipping will be charged a flat shipping rate of $8. International shipping is also available. ● Orders shipped to a number of states, including but not limited to New York, California and Pennsylvania, are subject to sales tax. For more information, please contact the customer service department. 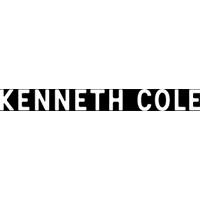 For most up to date offers check out Kenneth Cole on Facebook and Twitter or contact Kenneth Cole Support for any questions.